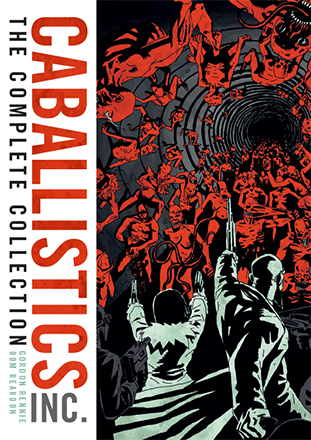 Tripwire Reviews The Complete Cabalistics Inc. 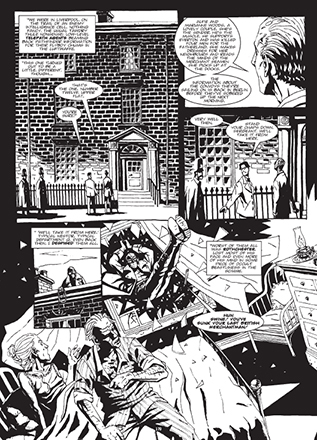 The Complete Caballistics Inc. pulls into one place the entire run of Gordon Rennie and Dom Reardon’s enthusiastic wade into British occult pop-culture, which appeared in 2000AD from 2002 to 2007. It also adds the coda from 2018’s Christmas prog, appearing after an eleven-year break and which Rennie has said may be his last word on these particular characters. All told, a hefty 300 pages of angels, demons, dismemberment, infernal warfare, and allusions to a few decades of supernatural fiction. Those allusions are almost endless, but a classy selection. 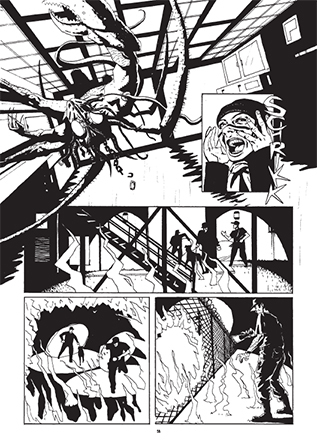 As the group of paranormal investigators after whom the strip is named starts to come together, Rennie distributes the members’ introductions amongst plot nods towards Quatermass, Department S, Sapphire & Steel, Dr. Who and Guillermo del Toro—and that’s just the first chapter. A reclusive and probably non-human rock star buys the team wholesale from the British government, a privatisation that the Blair administration should have reconsidered. Later one member of the team, having already been taken over by a demon, becomes pregnant, and several factions take an apocalyptic interest. In between, there are golems and zombies and a whole sequence spoofing classic British horror films, as the creators indulge in some cult cinephilia. There are also many, many killings. 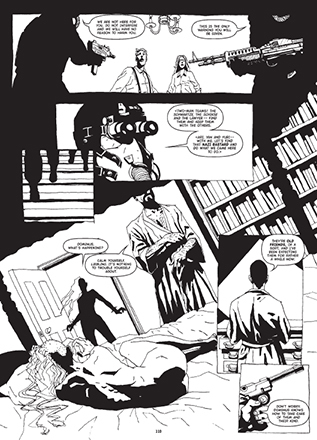 Dom Reardon draws the entire strip in ink-heavy black-and-white art that owes an appropriate amount to Mike Mignola’s paranormal horrors, but also has occasional shades of Eddie Campbell and Phil Hester. 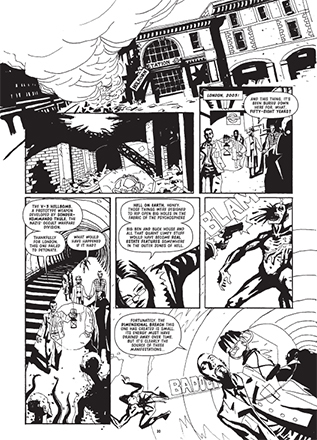 His angular monochrome cartooning adds to the atmosphere and the looming menace, and if it makes the drastic slaughter less authentically horrific than a colour version in a more graphic comic would be, it also keeps Caballistics rooted in a mainstream comics style, a ramped-up version of the classic fantasies that inspired it. 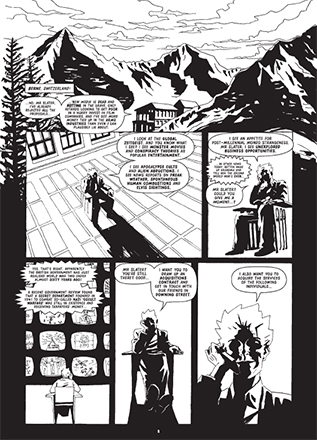 The strip’s decade hiatus was, as Rennie himself puts it, “a creative huff”: two Caballistics novels appeared by another writer, and its creator walked away on the spot. If Rennie had stopped just three pages earlier in 2007, the story would have had a perfectly legitimate end-point. But the next chapter had been set up and then left hanging, so the new coda has to deal with the loose ends—although with a haste that the rest of the stories don’t suffer from. 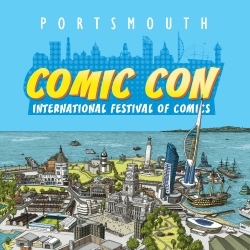 The strip’s most sympathetic character declares that the future will now be someone else’s problem; a fair conclusion to a story that had fun with a heap of Britain’s paranormal pop-culture past.